Are You Ready to Increase Revenues? Want to know how? Right now? 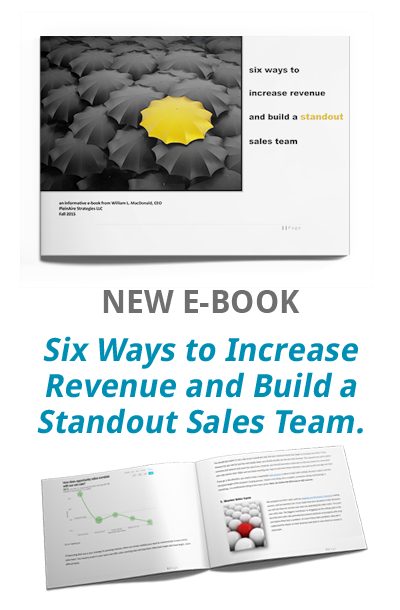 Thanks for your interest in our new complimentary eBook on the most essential ways to build revenue and a world-class sales team at the same time. It’s the right thinking for today’s business climate. “Six Ways to Increase Revenue and Build a Standout Sales Team” is a fast informative read worth a few minutes of your time. We guarantee you’ll pick up at least one useful idea from this eBook to put into practice today. What’s more, you’ll get access our Sales Performance Meter to benchmark your sales team for yourself against the world-class performers. Ready to Transform Your Sales Process and Increase Sales?